HTC has always managed to get the best looking phones in the market and this time is no different. 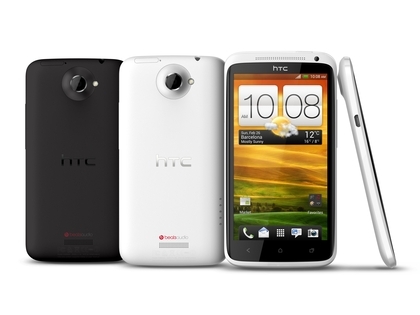 HTC One X is a high end Android smartphone with an excellent design and poses some very exciting specs. HTC has been going through a rough phase cause of their under performing smartphones. But i think this time they have just focused on the quality of the smartphone. One X android smartphone is the best offering from HTC as of now. One X runs the latest Android 4.0 Ice Cream Sandwich and promises the best Android experience. Let us look at some of the specs and new features in the HTC One X. You would be thinking that i am getting a bit filmy here, but that's the perfect way to define HTC One X. The smartphone is much faster than i expected it to be. Probably the fastest Android smartphone in the market today. The hardware of the device is outstanding and the reason for all the quickness in the smartphone. The smartphone has a Nvidia Tegra 3 processor which provides all the needed processing power to the smartphone. One X is powered with 1GB of RAM which ensures smoother operation of the apps and games. It has 32 GB of internal memory and has no microSD card slot which means that you can not extend the memory. HTC always had one of the best graphics and Interfaces on their smartphones and this time its even better with the One X. The smartphone has the latest Android OS i.e., Ice Cream Sandwich and over it runs the HTC Sense 4.0 which handles all the animations & graphics and provides that extra smoothness to the device. Web browsing experience is just awesome with smooth scrolling. If you like to play alot of games on your phone than you will just love this one, even the most hardware demanding games run very smoothly and provide optimum gaming experience. The camera of One X has been one of the most talked about things. The smartphone includes a dedicated chip for processing images and sports a 8 mega pixel (3264x2448 pixels) camera with autofocus and LED flash. Image quality is quite excellent in low light conditions and gives some excellent shots. HTC One X camera provides HD video recording at 1080p. One X also poses a 1.3 megapixel front camera for video calling. One X has a screen size of 4.7 inches with a resolution of 720 x 1280 and supports multitouch. Three capacitive touch buttons at the bottom of the screen makes this phone a bit bigger in size. HTC Sense UI makes the display even more soothing for the eyes. My Verdict : Probably the best Android smartphone in the market as of now considering the hardware and quality of the phone. Looking at all the merits and demerits of the smartphone i will give it 4.5/5. NOTE: HTC One X will come to AT&T on 6th of May 2012. However you can get your hands on the phone now as it is available in Canada through Rogers at a price of $169.99 with a 3 year contract.